Gagosian Quarterly. United States: Gagosian, Summer 2016, p. 137, illustrated (installation view, Newport Street Gallery, London, 2016). Champion, Julie and Nicolas Liucci-Goutnikov. 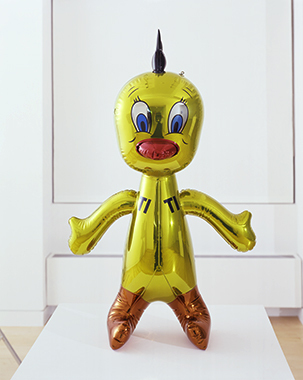 Jeff Koons: La Retrospective: The Portfolio of the Exhibition. France: Centre Pompidou, 2014, p. 131. Champion, Julie and Caroline Edde. Jeff Koons: La Retrospective: The Album of the Exhibition. Belgium: Centre Pompidou, 2014, p. 49.